What is the Legion of Mary? The Legion is the largest apostolic organization of lay people in the Catholic Church with well over three million active members in most every country of the world. In 2011, the Legion celebrated its 90th anniversary worldwide. It has been active in the United States since 1931, has known continuous Papal approval, and was endorsed by the Second Vatican Council. What does it do? The Legion helps to make its members better Catholics through a program of prayer and service in union with the Holy Spirit as He operates through Mary, Mother of the Church. Works include visitation projects, youth work, and other spiritual needs of the parish and community. It gives Catholics an opportunity to do action for the Church while deepening their spiritual life and strengthening their Catholic Faith. How Does It Work? Members meet every Monday at 5:30 p.m. in the Library for prayer, planning, and discussion in a family-style setting. They do a couple of hours work each week in pairs and under the guidance of the pastor. Who Can Belong? Any Catholic who would like to draw closer to Jesus and His Mother are welcomed into the Legion of Mary. There is an easing-in period for 90 consecutive days. This time is to allow your personal life and the life of a Legionary to come together for the Church. How Do I Start? You are invited to come and see the Legion of Mary from the inside. Be a guest at a meeting. Go as a guest on one of the work assignments with an experienced member. Mary can take the “untalented,” “average,” and ones with “no experience” and shape them into a tool for her use. You will only need to devote time and effort to help our Blessed Mother Mary and the Church. Want to learn more? 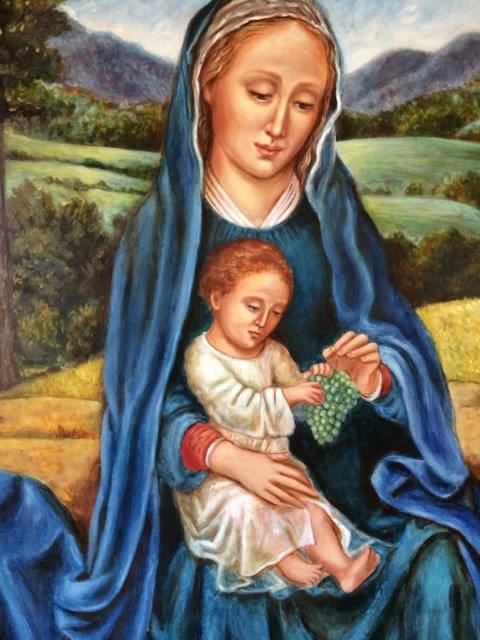 Click on this link for the Legion of Mary website.